When the folks at Cinnabon decided to get into the pizza game last year, we initially winced. Not because the idea of a hybridized cinnamon roll/pizza monster wasn’t appealing. But because we knew we could do better. 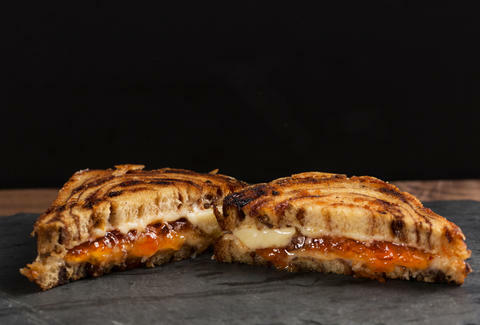 Behold: the cinnamon roll grilled cheese, a savory take on the only thing your Mom knows how to cook, complete with melted sharp cheddar and hot pepper jelly. Your move, Cinnabon. Heat a nonstick skillet over medium-low. Spread butter evenly on both sides of the bread slices. Place bread on skillet and toast until golden, about 2 minutes. Flip and toast the other sides. 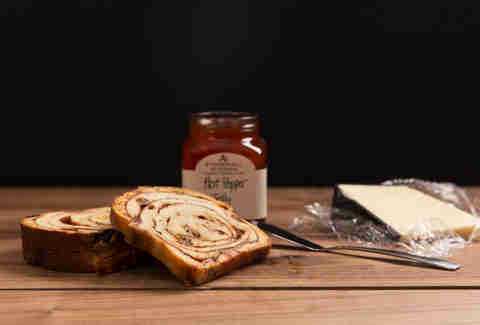 Spread cheese on one slice and jelly on the other. 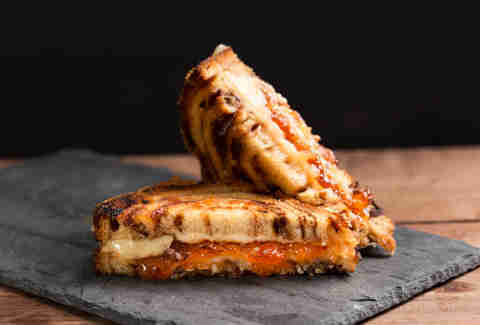 When cheese melts, turn off heat and place one slice on top of the other, fillings facing in. Slice diagonally and chow down.